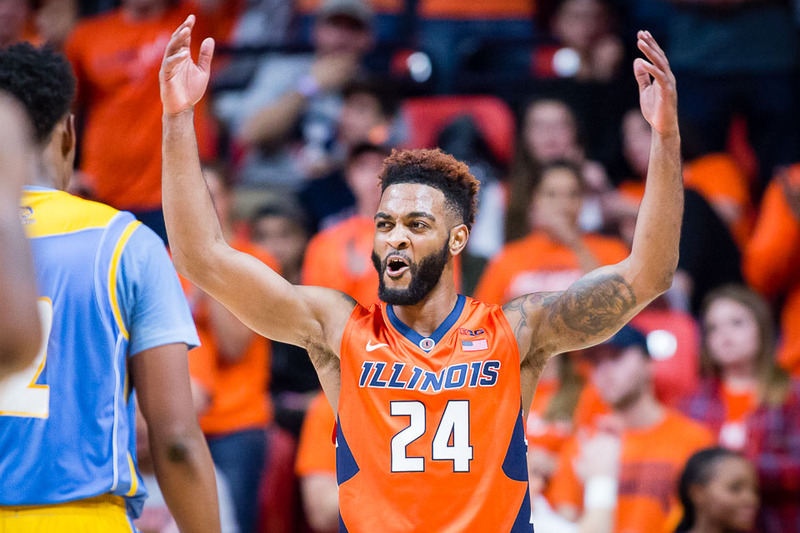 Illinois guard Mark Alstork (24) celebrates during the game against Southern at State Farm Center on Friday, Nov. 10, 2017. Let me preface this by saying that I did not expect the new additions to make this big of an impact on day one. 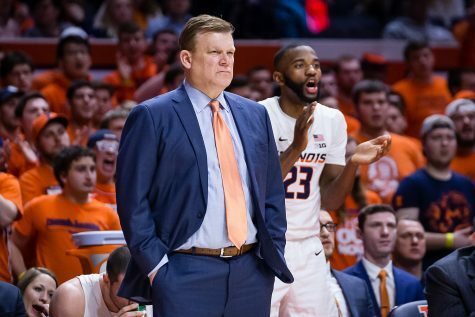 Obviously, in a group that includes the likes of Mark Smith, Mark Alstork, Trent Frazier, Da’Monte Williams and more, you knew they would be a huge part of this team. But the impact they had on day one was downright impressive. Alstork went out and got himself a doubt double, scoring 17 points while snagging 10 rebounds and adding in four assists in just 26 minutes. The senior-transfer was expected to score a lot, but his impact was undeniable tonight. He was tough on defense, while crashing the boards on every miss and getting to the free-throw line at will. Alstork looks extremely comfortable in Underwood’s system, and that is going to be huge for the team going forward. Smith impressed in his collegiate debut. The freshman guard played 21 minutes, and while he only scored nine points, he looked comfortable out there. 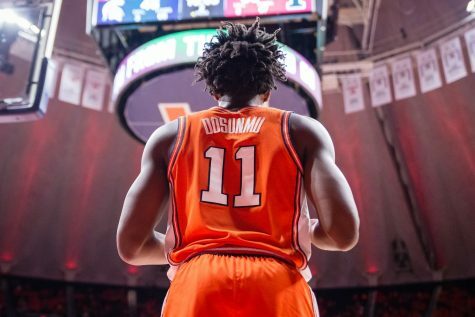 He had a couple different highlight reel finishes and put together a strong game on defense, which will only lead to him getting more minutes in Underwood’s system. It was a nice first game for the reigning Illinois Mr. Basketball. Frazier and Williams also put together nice debuts. The duo combined for nine points on 2-10 shooting, and while the shots did not necessarily fall tonight, they were there. 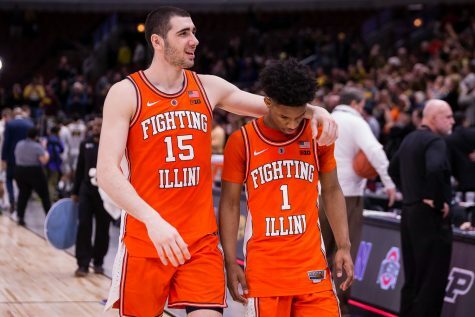 Both looked comfortable on both sides of the floor, and showed off little flashes of why they are such highly regarded players on this young team. They are only going to improve, and game one was a solid start. Aside from the new guards, guys like Matic Vessel and Gregory Eboigbodin also played meaningful minutes. They combined for five rebounds and blocks in 19 minutes. In Underwood’s pre-Southern press conference, he mentioned how the program used to have a certain swagger, and that he was here to bring it back. Well, folks, it is back in a big way. Alstork and Aaron Jordan were asked about the swagger being back in the post-game press conference, and while they said it is not all the way back yet, they agreed that this was a good foundation. While the players know they can improve, this is a heck of a way to come out for game one in Underwood’s tenure. A 47-point win is a 47-point win, and there is no denying that. Despite the opponent, you can not help but to be impressed by this team and how they showed up for game one. It is evident that they took that Eastern Illinois loss to heart, and they more than made up for it on Friday night. 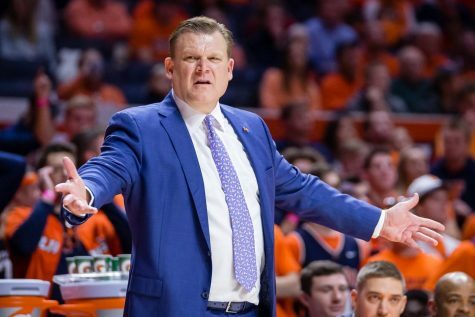 Ever since head coach Brad Underwood’s hiring this offseason, his tempo and basketball ideologies have been a huge focal point. In game one of the Underwood era, we saw exactly why. From first whistle, it was evident that this is not the same old Illinois system. The starting five of Te’Jon Lucas, Smith, Alstork, Leron Black and Michael Finke were all over their defenders, disrupting passes and blocking off lanes right from the start. 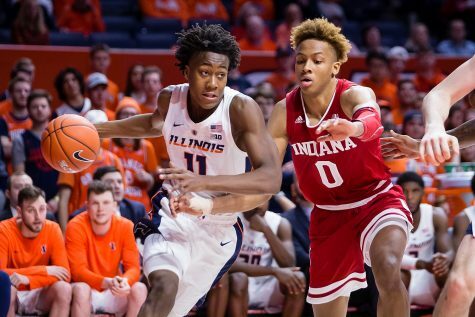 While Underwood often gets notice for his offensive philosophy, much of that is created from forcing turnovers and disrupting the opponent on defense. The tempo was just as high on offense, featuring lots of ball movement and quick passing. 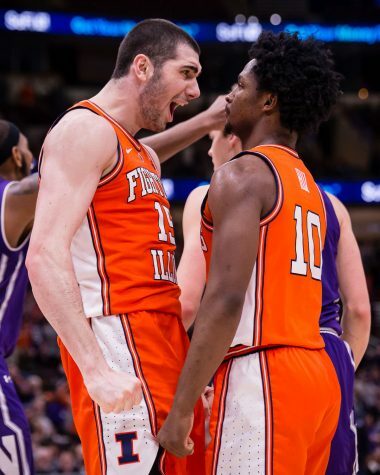 As opposed to years back, with former head coach John Groce’s often sedentary offense, it seemed that all five players on the court were moving at any given time. There were few possessions that got even close to the shot clock, and it looks as if the team is buying into Underwood’s philosophy early. 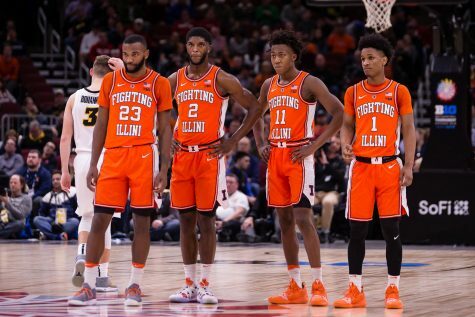 Not to mention, this is the same team that looked to struggle early in scrimmages with Indiana State and Eastern Illinois, but the offense looked more than ready in game one. They scored 53 points in the first half, something they did just one time all of last season. They went on to score 102 points in the game, and while it did come against a relatively weak team in Southern, that is impressive none the less. 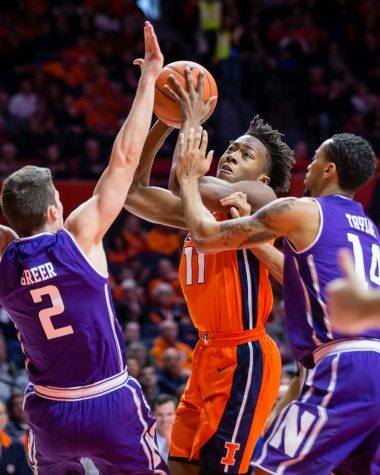 I predicted a 75-59 win for the Illini, so the team certainly surpassed expectations. Underwood was happy about the win, and more than that, it looked like there was almost a look of relief. 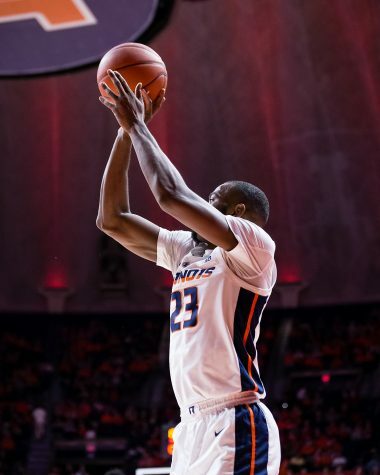 After some doubts from fans following the Eastern Illinois loss, Underwood and his team shut them up tonight in a big way. The team responded perfectly to the loss and showed that while they are young, this team is legit. Underwood said that while the loss at Eastern was not necessarily the key to the bounce back, he said that getting in that extra game was huge in getting ready for tonight. 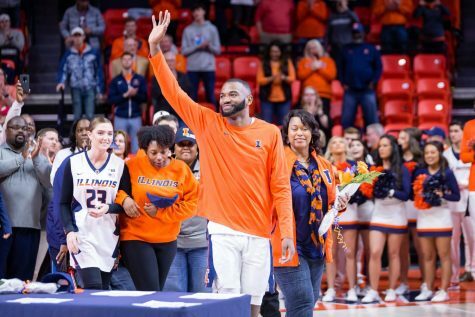 During Underwood’s tenure at SF Austin, he mentioned that Illinois was his dream job. Tonight, he started day one of living out that dream. Underwood mentioned how he was able to come out and admire at all, and he looks ready to take this program to the next level.